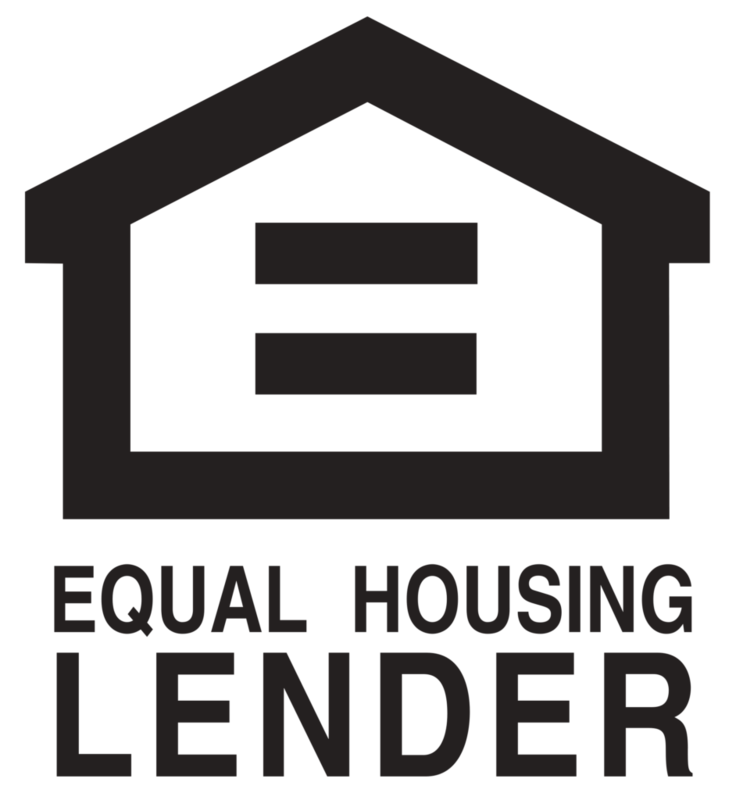 A Home Equity Line of Credit (HELOC) is a mortgage that allows a homeowner to access the equity in their home via a credit line. A HELOC is typically a second lien mortgage, has a variable interest rate, AND has a variable loan balance. A HELOC allows a homeowner to take out cash on their homestead via “draws” for a certain period of the loan’s life. Think of it like a credit card that is tied to the home’s equity – the balance can be charged up and then paid off at any time. Each month the mortgage payment is based off the balance owed and the interest rate at that time. This article is for Texas homeowners. Texas law places restrictions on home equity loans while other states have more liberal guidelines. Texas does not allow a home equity line of credit to be used to purchase a home, it can only be done as a refinance with a combined loan to value of 80%. (We’ll explain in greater detail). At this time the Mortgage Mark Team does not offer home equity lines of credit in the state of Texas. (Although we can do HELOCs in other states so call us if needed). The information below typical of most banks. Please call us with questions as we’re happy to guide you through the process. Please read this in its entirety and let us know if a bank contradicts what we’ve described. The costs of a HELOC are relatively low and the paperwork is less than a “normal” mortgage. The payments are interest only which means they’re lower than fully amortized payments that require principal and interest. The coolest part (in our opinion) is that the loan balance varies based on your needs. If you don’t need the cash then keep the balance at zero; doing so would mean you don’t have a mortgage payment. If you need $10,000 then write yourself a check for $10,000 using the HELOC. The next month your payment will then be based off a $10k balance. The biggest downfall to home equity lines is that the interest rate is variable. The viability of a HELOC as a predictable long-term solution diminishes due to the variable rate. Let’s determine if you want a HELOC before diving into the mechanics and terms. A home equity line of credit is great for people that need access to cash for a “safety net” or for those homeowners that only need a small amount of cash. In both cases we are assuming that the homeowner has a great first-lien mortgage already in place. In other words, we’re assuming the existing mortgage is so good that refinancing it and getting cash out during that process doesn’t make financial sense. For example, we certainly don’t want to refinance a 3.75% fixed rate loan since there isn’t a financial benefit if current rates are at 5%. Conversely, a homeowner with a 5.5% rate on their first mortgage may do a “normal” cash out refinance loan to lower the overall interest costs. In that case, the Mortgage Mark team can help so call us. A HELOC is a great tool for short-term money and can be a great “rainy day” fund. Because payments are based off the amount owed someone can open a line, leave the balance at zero, and not have any payments. They then have the peace of mind knowing that they have funds accessible should they need them in the future. The aforementioned individuals will often use the HELOC as a financial tool to either capitalize on an opportunity or to have access to funds should cash flow lessens for a period of time. Homeowners that need cash for the long-term are not great candidates for a HELOC. It becomes difficult to budget and plan for the long-term financial goals when the amount of interest to be paid can only be estimated. We typically don’t recommend a HELOC without having a plan (or the ability) to pay off the debt within one to three years. The variable interest rate makes it difficult to budget for the future. It often makes more sense to do a fixed-rate second lien equity loan or a “normal” cash out refinance with a fixed interest rate when the money is needed for the foreseeable future. The combined loan to value cannot exceed 80%. This means that all mortgages on the property must not total greater than 80% of the home’s value. The home’s value is determined at the time of the HELOC’s closing. The A6 loan cannot be refinanced for 12 months. This does not prevent the homeowner from paying off the loan or selling the home. There are no prepayment penalties for paying off or closing the HELOC early. The law simply wants to protect Texas homeowners from becoming refi junkies. The loan can’t be originated any quicker than 12 business days per the Texas A6 12-day letter. This typically isn’t an issue since most lending institutions won’t close a loan that fast anyways. There are a number of third parties involved with a mortgage and they don’t move at warp speed. HELOCs are for owner occupied homes only. We have yet to find a bank that will offer a HELOC on a vacation home or investment property. Most banks will have minimum credit line limit of $10,000 and a maximum credit line of $250,000 or $500,000, depending on the bank. A HELOC is considered an “open” loan because the balance can get bigger or smaller. There are fixed-rate home equity loans available for a longer term solutions; however, those are “closed-end” loan amounts that have fully amortized payments. Those fixed-rate seconds are often used in lieu of a HELOC since they offer predictability for longer-term planning. There is a relatively new feature for HELOCs where a bank will allow a portion of the loan balance to become “fixed” at the current interest rate. Doing this would “lock in” the interest rate on a particular portion of the balance (that you determine). The monthly payments on that money be fully amortized payments. You can “lock” and “unlock” that money throughout the life of the loan and do so without any costs. This is having the best of both worlds – a fixed rate on a determined portion of the loan while having credit line with the variable rate on the remaining balance. Not every bank offers this feature but it’s really cool so ask around. In most cases a HELOC is a 20 year note where the first 10 years have the “line of credit” feature. This means you have 20 years until the loan will need to be paid off in full; however, for the first 10 years you can draw against the line and change the balance owed. After the initial 10 year draw period expires the line of credit option will “close”. The balance owed at the end of Year 10 will be what’s owed to the bank. The payments will then be fully amortized (i.e. principal and interest payments) based off that remaining balance for the remaining 10 years at the interest rate at that time. A home equity line of credit has a variable interest rate that is tied to the prime interest rate. This means the rate will change whenever the Fed changes interest rates. Prime is ultimately determined by the Federal Reserve and is typically 3% above the Fed Funds Rate. Here’s a historical chart of the prime rate since 1991. The interest rate for a HELOC is typically Prime + “X”. This “X” can range from .5% to 1.5% depending on the borrower’s credit score and the loan to value. Let’s assume for our examples that the HELOC rate will be Prime + 1% where Prime is 3.5%. In this example the HELOC’s rate would be 4.5%. Payments during the draw period (i.e. the first 10 years) are interest only payments and are based only on the amount borrowed. After that the last 10 years’ payments are fully amortizing principal and interest payments that are based on the loans’ balance at the end of year 10. Like all home equity loans in Texas the maximum Combined Loan to Value (CLTV) is limited to 80%. In addition to the 80% CLTV, the maximum Loan to Value (LTV) is limited to 50%. The loan to values are determined by the home’s appraised value or the Central Appraisal District. (More on that below). CLTV Example: Let’s assume someone has a house worth $400,000 and they currently owe $300,000 on the home. If they want to get a HELOC to get some cash out they will be limited to $20,000 because of the $320,000 maximum CLTV. ($400k x 80% =$320,00 max CLTV and then $320k max – $300k current loan = $20k available for the HELOC). LTV Example: Let’s now assume that the same homeowner with the $400k home has a $100k first lien and wants a HELOC. The maximum amount of the HELOC will now be limited to $200k because the HELOC can’t exceed 50% LTV. ($400k x 50% = $200k max HELOC loan amount). Even though 80% of the $400k is $320k and the $100k first means there should be $220k available for the HELOC, the 50% limitation applies so only $200k of that $220k is accessible for a HELOC. President Trump signed the Tax Cut and Job Act on December 14, 2017. That law removed the tax deductible interest benefit on equity loans (for both new and existing equity loans). In 2026 the law will revert back to the prior limits which allowed interest tax deductions on equity loans up to $100,000. Joe gets a $100k HELOC. After Joe opens the equity line he doesn’t pull anything from the line and leaves the balance at zero. Because the payments are based on the balance Joe won’t have a payment due until he draws money out of the home. Now let’s assume months go by and Joe finally pulls out $50,000 when the interest rate is still at 4.5%. The monthly payments will now be $187.50 until the balance or interest rate changes. (Calculation of the interest only payment: $50,000 loan x .045 interest rate / 12 months = $187.50 per month). Remember, the balance won’t change from $50,000 unless Joe decides to pay more than the $187.50 per month. Interest only payments means that nothing is going towards principal unless additional money is paid. Now let’s say that the $50k balance remains constant for five more month and then the Fed increases rates by .5%. This makes the HELOC’s rate 5% (existing 4.5% + .5% rate increase). Joe’s payments are now $208.33 per month ($50,000 balance x .05 interest rate / 12 months). Let’s just assume that Joe keeps the $50k balance for the remaining time (even though he can pay it down, pay it off, or draw more from it for those first 10 years). At the end of those 10 years the line of credit feature closes. Let’s assume the interest rate is at 7% when the line closes with that $50,000 balance. The monthly payments then become $580.54 per month for the remaining 10 years since it will be a fully amortizing loan. At the end of the 20 years the balance will then be zero and the HELOC is paid in full and done. The HELOC closing cost fees a relatively inexpensive; at least when you compare them to the closing costs of a “normal” permanent home loan. Most banks’ fees will range from $0 (free) to $500. The other two potential costs are for the appraisal and the title policy. Does a HELOC require an appraisal? If an appraisal is required then it adds about $500 in costs. Often times the appraisal requirement can be waived if the Central Appraisal District’s (CAD) assessment value is used in lieu of an appraisal. Check out Dallas, Collin, Tarrant, Denton, and Rockwall county’s website and look up your address if you want to determine the county’s assessed value. Does a HELOC require a title policy? For many banks a title policy will not be required unless the loan amount is above a particular threshold. Often times that threshold can be $75,000 but it’s more common to see it be $250,000. You can use our title policy calculator to determine how much your potential title policy in Texas may costs you. (Note: the calculator provides a rough estimate – you’ll need to contact a title company for the exact amount). Please call if you have any questions or would like to add another HELOC bank to this list.